MCCA audit: Why is car insurance so expensive in Michigan? Why did the MCCA fee jump 15%? To find out, Gov. Gretchen Whitmer has directed Michigan Insurance Commissioner Anita Fox to conduct an audit of the Michigan Catastrophic Claims Association (MCCA), which provides medical benefits to catastrophically injured car crash victims. The governor’s call for an MCCA audit came in response to the MCCA’s announcement that it will be increasing its annual assessment by $28 for fiscal year 2019-2020, thereby requiring drivers to pay $220 on top of the rest of their auto insurance bill. These assessments, whose costs are passed along to and, ultimately, paid by drivers, are used to fund the MCCA’s payment of benefits. I applaud Gov. Whitmer’s decision. An MCCA audit is much-needed and long-overdue. The last financial examination of the MCCA by the Insurance Commissioner occurred in 2015. 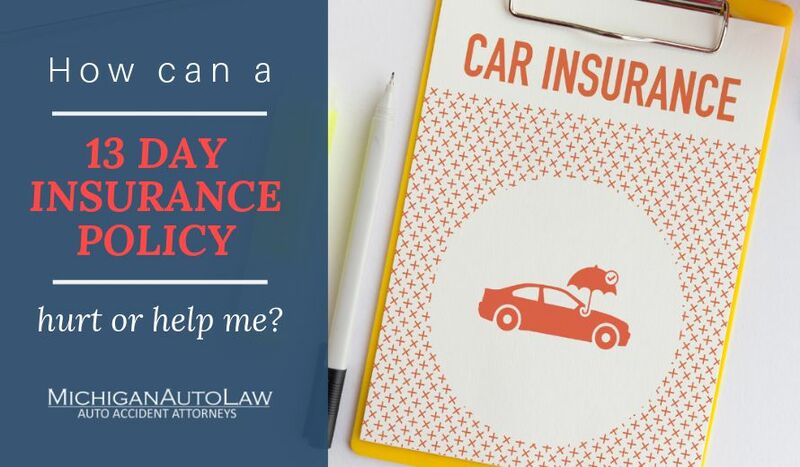 Given the ongoing and long-standing issues that Michigan drivers have faced with the affordability of No-Fault car insurance and the significant role that MCCA assessments play in drivers’ overall auto insurance costs, it’s a wonder that former Gov. Snyder and former Insurance Commissioner McPharlin didn’t see fit to previously conduct an audit. No doubt the MCCA audit that Gov. Whitmer has ordered Insurance Commissioner Fox to conduct will yield helpful information for drivers, car accident victims and lawmakers, thereby providing the transparency into the MCCA’s rate-setting process that I and many others have been calling for for years. Why, since the assessment dropped by $36 in fiscal year 2015-16, have assessments continued to increase? Why the MCCA deficit has ballooned from $292 million in fiscal year 2015-16 to $3.9 billion for fiscal year 2019-20, even though the MCCA’s annual payouts on catastrophic injury medical-claim costs have remained relatively constant, hovering around $1 billion to $1.2 billion. Another MCCA assessment prompts the same unanswered question: Why is the MCCA fee so expensive in Michigan? Although the press release speaks of the “assessment paid by auto insurance companies to the Michigan Catastrophic Claims Association,” make no mistake that the cost of those assessments is ultimately paid by Michigan drivers, not Michigan No-Fault auto insurance companies. The purpose of the MCCA is pay for all of the reasonably necessary medical expenses of catastrophically injured car crash victims, once those costs exceed $555,000 (the threshold will be $580,000 for 2019-2020). The funding that the MCCA relies on to pay for catastrophic injury medical benefits comes from the assessments that it charges to Michigan auto insurance companies who then pass along those costs to drivers in the form of higher auto insurance prices. What could an MCCA audit reveal about the perennial question: Why is the MCCA fee so expensive in Michigan? Learning more about Angoff’s findings would go a long way to answering the question that drivers across the Great Lakes state keep asking: Why is the MCCA fee so expensive in Michigan? When the MCCA announces another assessment increase as it did yesterday, we hear about the amount of the increase and what the per vehicle assessment will be for drivers, but what we don’t hear are details about how the assessment specifically relates to the growing deficit and/or the MCCA’s annual payouts in catastrophic injury medical benefits. This would be great information for people to have, especially given the trends for the deficit and payouts. For instance, drivers would no doubt be very interested to hear how it is that the deficit is growing so fast even though the amount of money being paid out each year for benefits has stayed relatively constant.